Since 1976, Christopher D. Mecca, Attorney at Law, has represented the people of Grants Pass, Oregon, and the surrounding area with a variety of legal issues. He approaches each client's needs with experience and personal service, and has a genuine interest in the community he serves. Clients turn to him with matters of criminal defense and elder law, and he also handles probate, wills and trusts, guardianships, and estate planning. Regardless of why you retain Mr. Mecca, you can expect your legal needs to be handled with the care and precision of a seasoned attorney. With over 27 years experience, Mr. Mecca knows what works and will help you achieve the best possible outcome. He handles your legal needs personally and will take the time to explain your options. You will know the status of your case because questions are answered thoroughly and your calls are returned promptly. Mr. Mecca appreciates that fact that your situation is unique and he will work with you to develop the best strategy to meet your needs and goals. 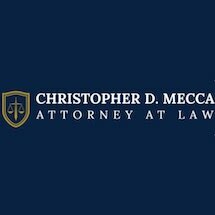 Because of his experience and personal approach, clients often refer their family and friends to Christopher D. Mecca, Attorney at Law.